The latest Kennedy tragedy to hit, the death of Kara Kennedy, just 51, once more reveals how much this great family has suffered. Untimely deaths run like a river through the history of the family and Kara is no exception. Ted’s two other kids, Ted Junior, who lost a leg to cancer and Patrick who has had major substance abuse and alcohol issues illustrates just how tough the battle has been for the younger generation. John Kennedy Junior was also a casualty of course, dying far too young in that Martha’s Vineyard plane crash. His sister Caroline remains the only direct inheritor of the JFK family name as a result. Is it a curse or is it just what any family so large and so extended would go through? I believe it is the latter. Talk of a curse is nonsense really, this is a massive extended family, always under scrutiny and one which every illness and death is highlighted. The madmen who gunned down JFK and his brother Bobby were not acting out some curse, but rather a twisted agenda of their own. The death of this generation of Kennedys has actually been few and far between. David died of a drug overdose, brought about by a very tough childhood after his father’s death. John died in a plane crash that arguably was avoidable, and that is really it until Kara’s death. So talk of a curse, with such large numbers in a massive extended family is just nonsense. 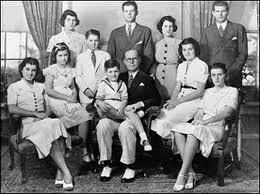 The Kennedys may not be that all American normal family but then who is these days?